Just a quick one for a community review on r/Scotch. Every month people post up their reviews about one voted whisky and notes/scores are compared. A really worthwhile and useful exercise actually. 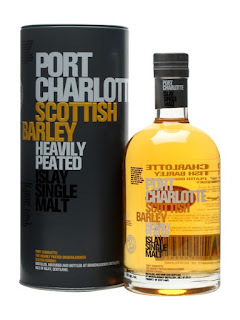 I tasted this at a Bruichladdich tasting in Cardiff for South Wales Whisky Interest group (SWWIG). Nose: Light and peaty. Vanilla fudge, sweet honey, fruity oak, some sea salt, fruity oaky smoke, some mint and moss coming through. Taste: Vanilla fudge, creamy and light, peat building with fruity sweetness, raisin and cream, sherry and iodine. Water: Even more creamy and light. Finish: Medium length. Creamy peat and dry oak, some toffee.